Yes! I need to be a celebrity. If only for the perks, and I’m not talking about the money and the fans and stuff like that. I am talking about the freedom to speak my mind and if it rubs anyone the wrong way, I have an agent on the ready to say I didn’t mean a word of it. You have to love it. I could go on Twitter and say anything I want and when people get their noses out of joint, my trusty clean up guy would run interference. “No no, you got it all wrong.” He would say. “My guy loves everyone. He would never say something like that.” Or some lame excuse like that. Don’t worry, when you are a celeb, lame excuses are not only accepted, they are encouraged. Just say something Mr. Celeb, anything. Any excuse will do. Take this latest example. Fantasia of American Idol fame, took to Instagram and rants, “I Rise ABOVE IT ALL!!! THE WORLD IS GONE MAD. KIDS, THE GOVERNMENT THE church House… Everybody Trying!!!!!! !” writes the 28-year-old singer on Instagram (via goodasyou.org). “Its a lot that going on that the Bible speaks about we should Not be doing. Weed legal in some places, Gay Marriage Legal BUT YET IM JUDGED!!! I’m not doing Nothing for you… My Life!!! !” Now I don’t need to be a whiz to translate that. The meaning is loud and clear. 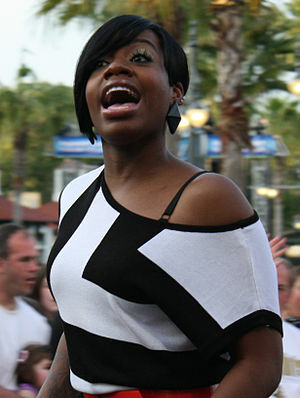 Fantasia herself reportedly issued a follow-up post denying any ill will toward the LGBT community. “It has been brought to my attention that something I said was taken out of context,” the Grammy winner noted. “I, Fantasia Monique Barrino, don’t judge anyone because I don’t want to be judged. The gay community is one of my largest supporters. I support the gay community as they support me. Bloggers please stop misrepresenting the facts.” Bloggers? Is she talking about us? Of course, of course Fantastic Fantasia. You were misquoted. Just like I would be when I get my status card. I have a bunch of stuff I want to blog about that might need some excuses and some explaining. I am looking for an agent, any takers?